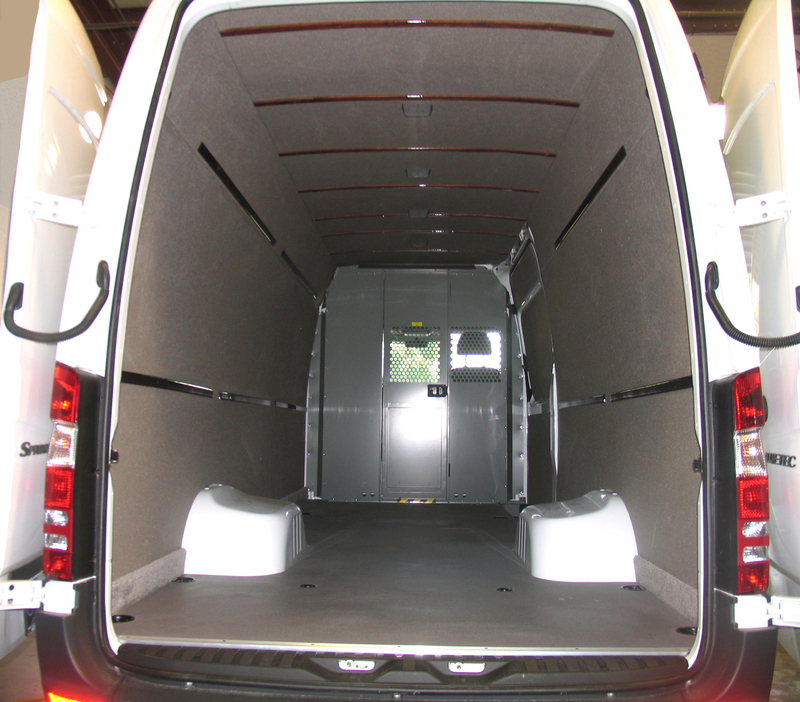 Ideal for every commercial trade: Delivery Services, Plumbers, Electricians, Masons, etc…. Adrian Steel Bin Packages available! 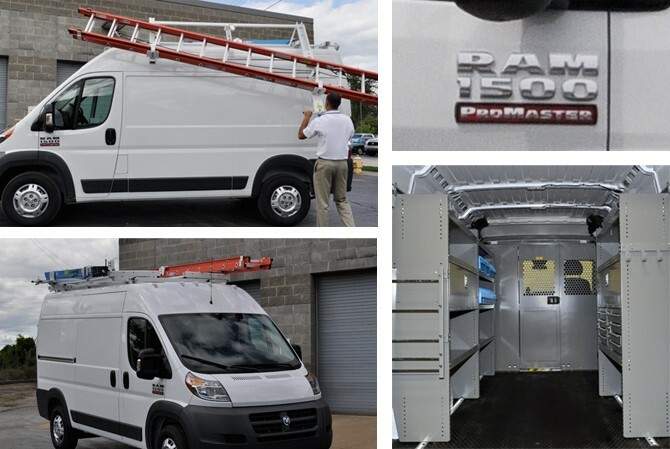 Sprinter Loadsrite lowers the ladder down to you for easier loading and unloading. Secure, Ladder Protection, Safe, Durable, Easy Operation, Back Saver, Easy Reach Handle and Ladder capacity 16’ to 32’ extention ladders. 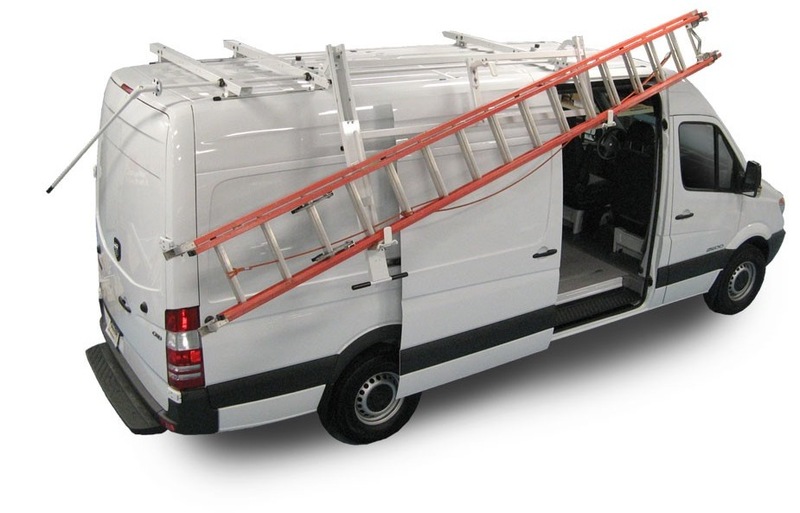 Other ladder and cargo racks are available.